Sebastian Altilio is an associate with Marcus & Millichap specializing in multifamily and mixed-use assets, as well as development sites in Brooklyn, New York. 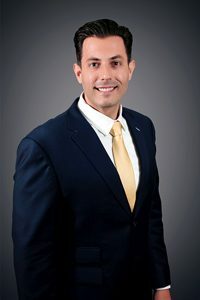 Prior to joining Marcus & Millichap, Sebastian worked as a financial broker for 7 years at a boutique firm specializing in alternative lending for small businesses on a national scale. There he developed skills and gained experience in negotiating contracts, pricing, and terms, as well as anticipating and avoiding challenges throughout the closing process. These attributes led him to be number one at his firm, in client retention and make him an irreplaceable asset to his clients. Sebastian graduated from Seton Hall University in 2010 with a bachelor’s degree in Sport Management. He was born and raised in South Brooklyn and attended Xaverian High School in Bay Ridge. In his free time, Sebastian enjoys traveling with his wife, taking photos, drinking coffee, and being outdoors.